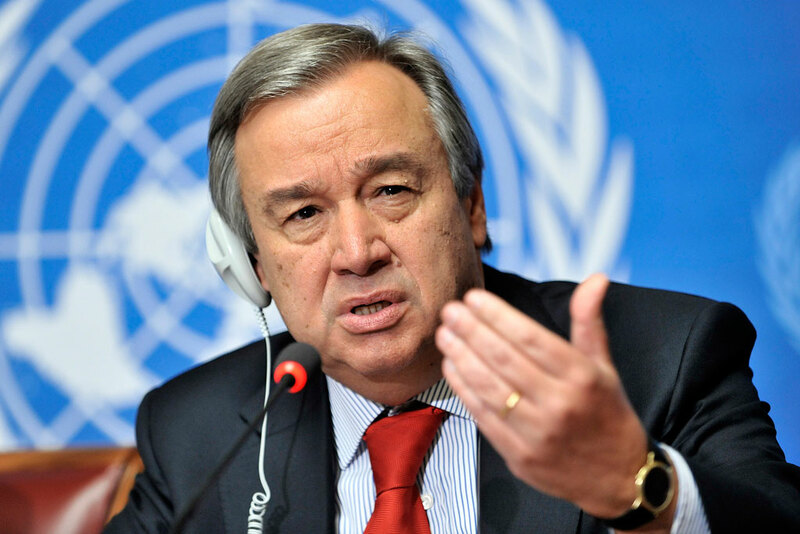 NEW YORK: UN Secretary-General Antonio Guterres has once again reiterated his call for Pakistan and India to seek a resolution of the latest conflict and de-escalate tensions lest they threaten the peace and prosperity of the region. Stephane Dujarric, the spokesperson of the UN chief, asserted that they are fully aware of the severity of the issue at hand. He was responding to the questions of reporters at the UN Headquarters in New York. This development comes as Pakistan and India reel from weeks of rising tensions in the aftermath of the Pulwama terror attack in Indian Occupied Kashmir (IOK) on February 14 that resulted in the deaths of more than 40 Indian paramilitary officers. As militant outfit, Jaish-e-Muhammad (JeM) assumed responsibility for the attack, India blamed Pakistan for facilitating the attack as Pakistan denied having any role in the tragic attack and Prime Minister Imran Khan repeatedly offered to hold talks with Indian authorities. On February 24, the Indian Air Force (IAF) violated Pakistani airspace on February 26 following the Pulwama attack in Indian occupied Kashmir. The IAF returned unsuccessful after the Pakistan Air Force (PAF) “immediately scrambled” its jets. According to Inter-Services Public Relations (ISPR), the Indian aircraft released their payload “in haste” as they returned. PAF the next day, on Feb 27, targeted non-military targets across the Line of Control to demonstrate Pakistan’s aggressive capabilities, and shot down two Indian Air Force jets after they crossed the LoC. An Indian Air Force pilot, Wing Commander Abhinandan, was taken into captivity of Pakistan’s armed forces. He was freed the next day and handed over to Indian authorities at Wagah border. Prime Minister Imran Khan had termed his release as a “peace gesture” — a move lauded by people on both sides of the border as well as the international community that had urged restraint.